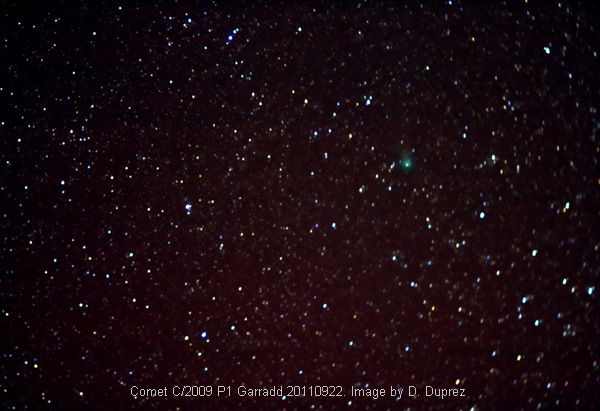 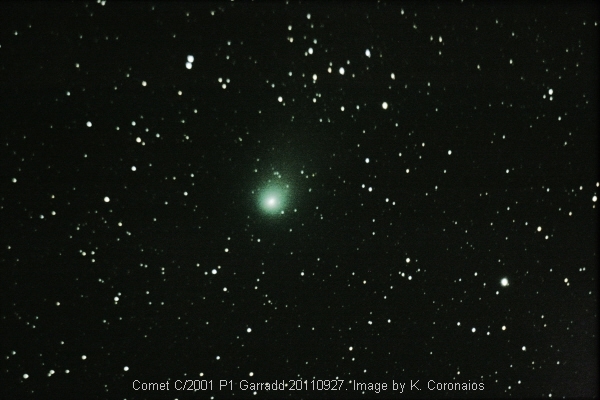 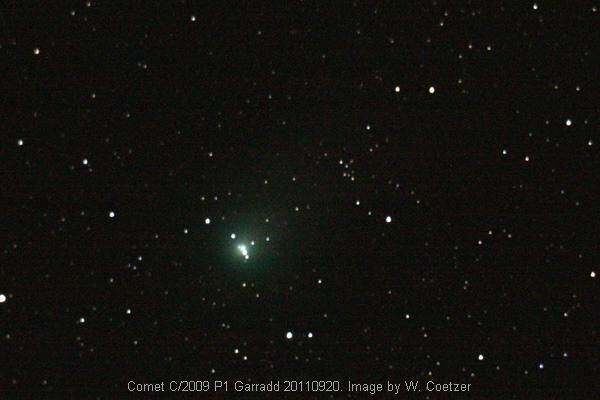 This page was specially created to shows the images by several South African astro-photographers of comet C / 2009 P1 Garradd as it travels through space and approaches the Sun during 2011. 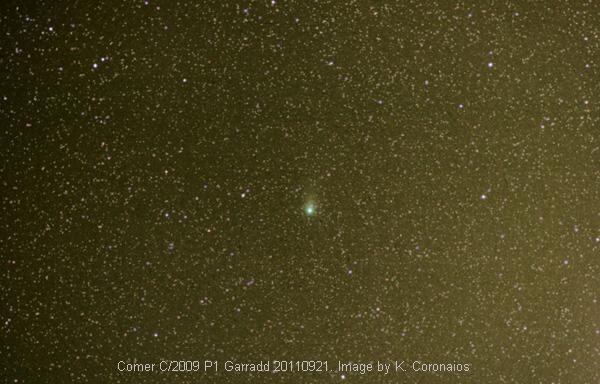 As the comet Garradd travels through space and approaches the Sun, astro-photographers around the globe are hoping and getting ready for a more spectacular show. 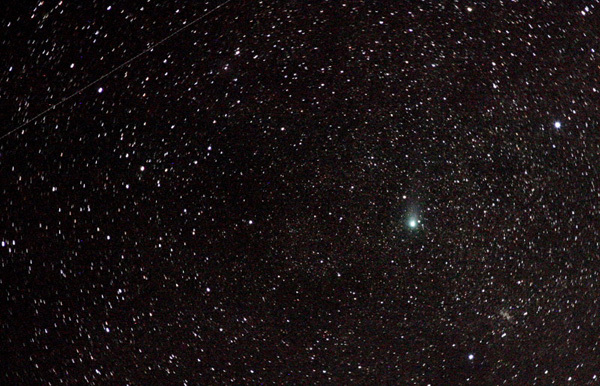 TIm Cooper, Director of ASSA Comets and Meteors Section writes: "Although the comet only reaches perihelion on December 23, it will be too close to the sun at its brightest and thereafter too far north for observation from southern Africa. 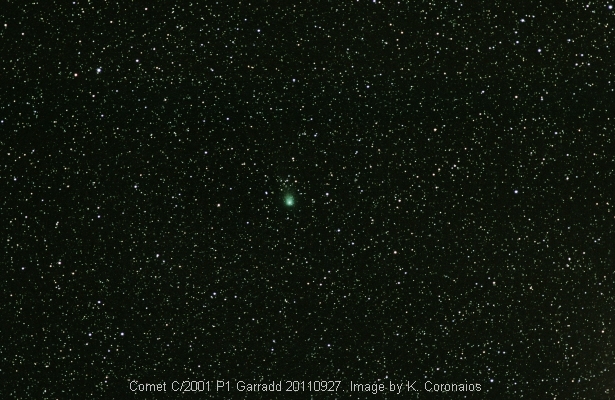 Observe until possibly early November when it will set early evening." 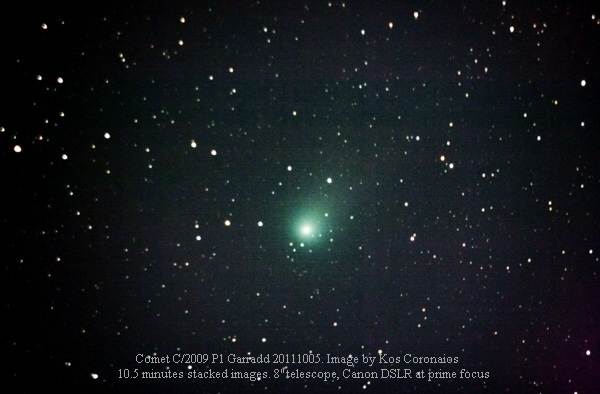 Full version of CAM notes 2011 No.3 can be downloaded directly from ASSA web site here. 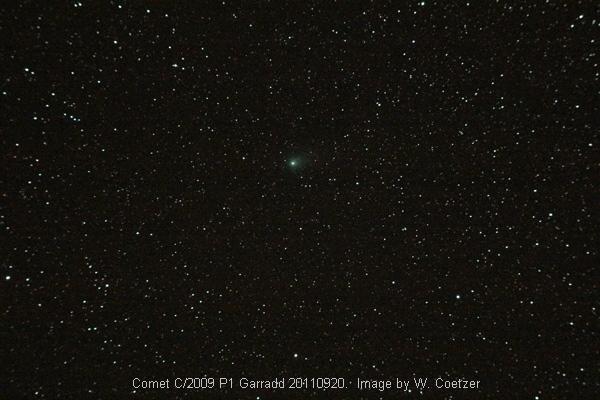 As the comet C / 2009 P1 Garradd travels through space and approaches the Sun, astro-photographers around the globe are hoping and getting ready for a more spectacular show. 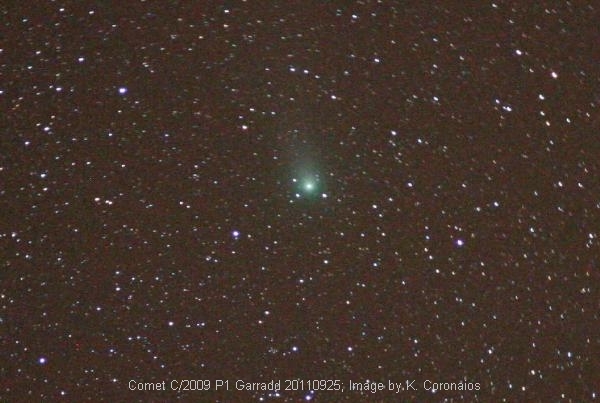 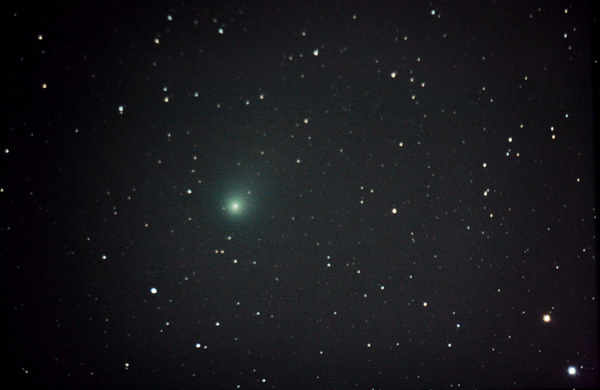 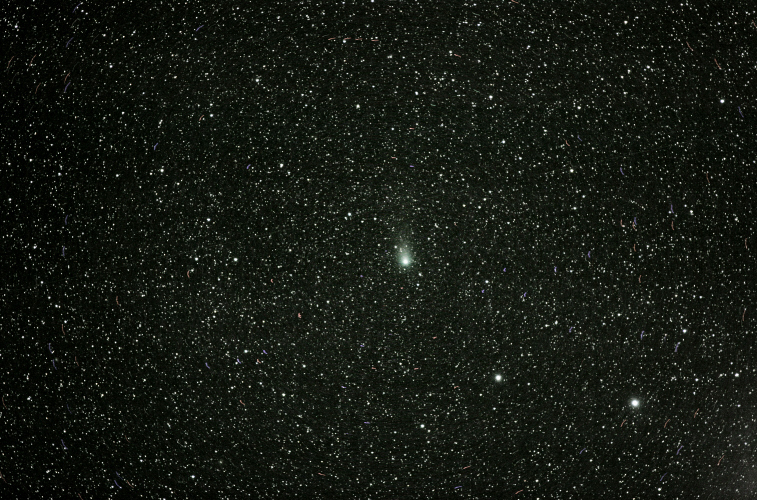 Although the comet isn't a naked eye object in the evening sky yet, it might become such during it's close approach in January - February 2012. 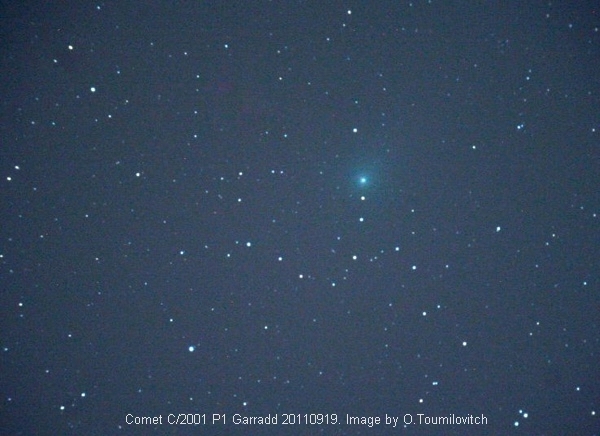 29 August 2011-Images by Oleg Toumilovitch. 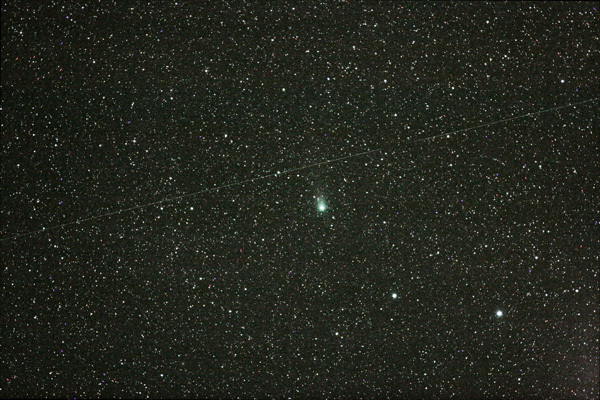 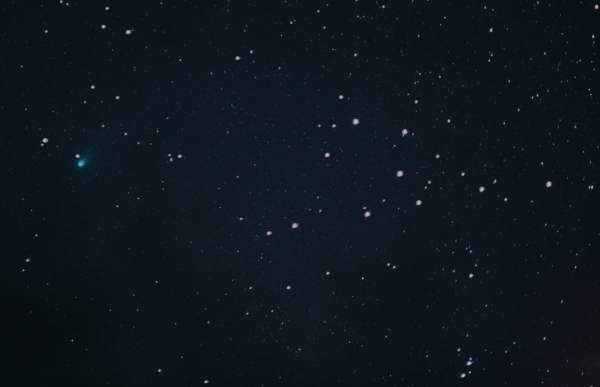 This animation shows movement of the comet over period of 7 minutes. 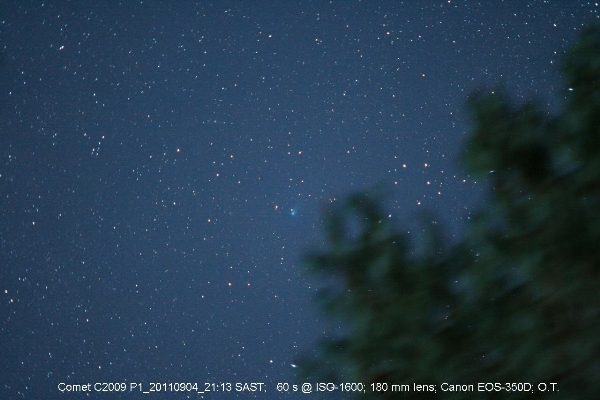 22 September 2011- Images Dany Duprez (North-West province, South Africa). 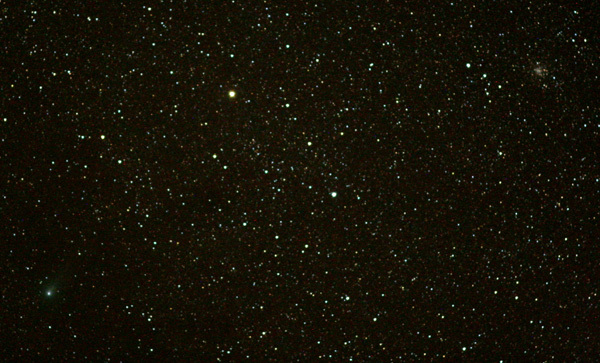 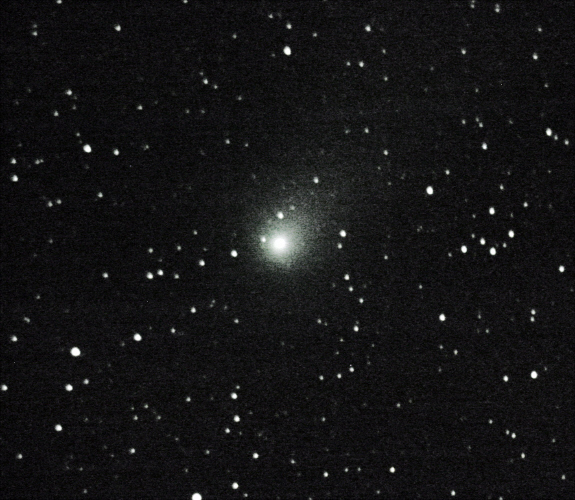 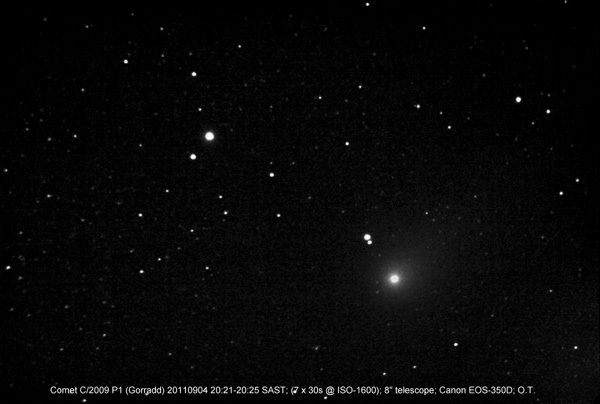 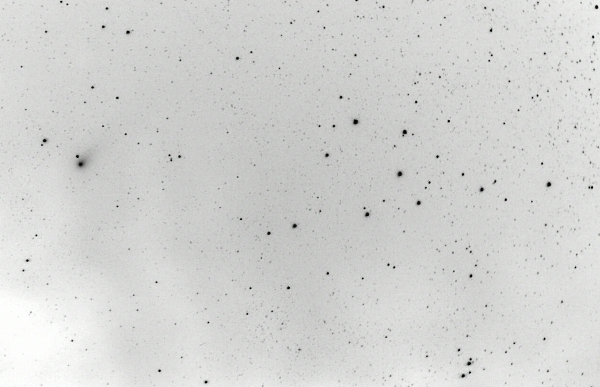 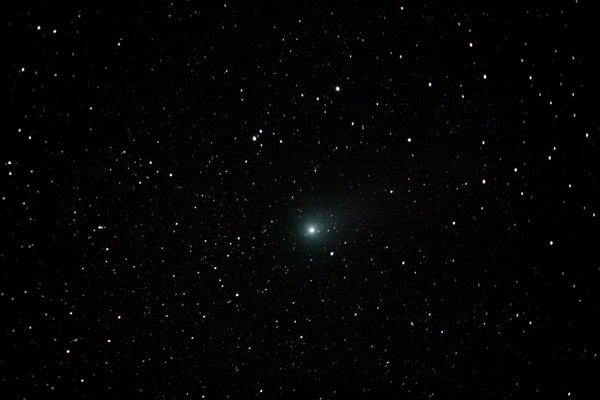 First image is a stack of images (guided on comet) for 1 hour. 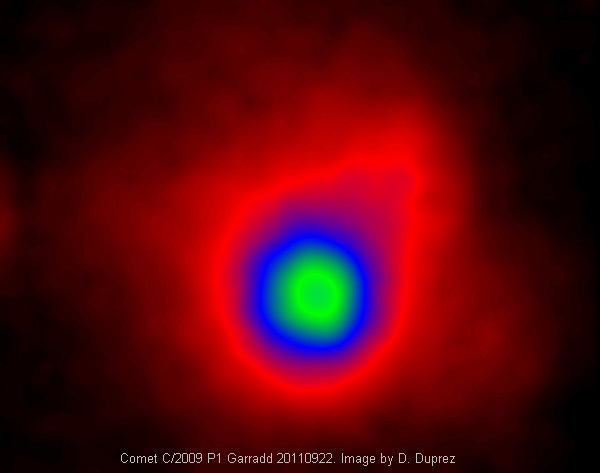 The second image is a closeup in false color.